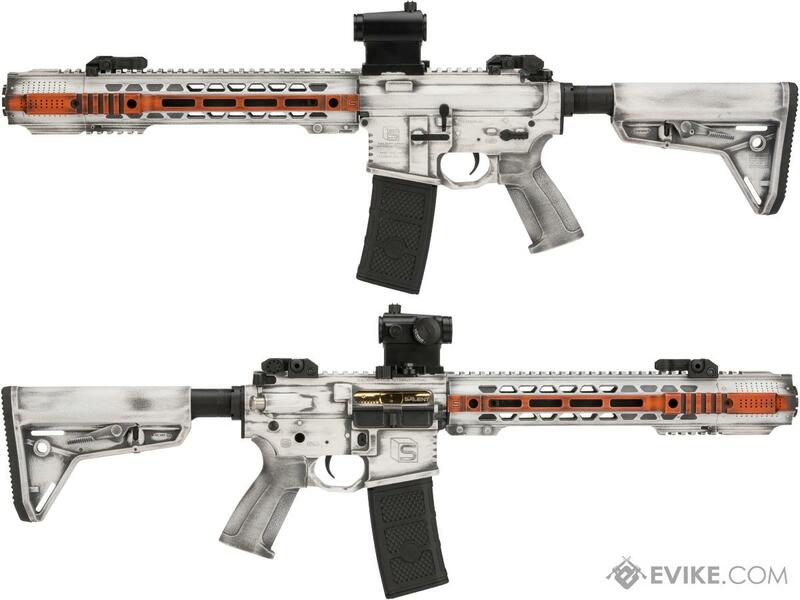 Evike.com has teamed up with some of the best real steel Cerakote shops around to produce a custom line-up of one of a kind Airsoft rifles. 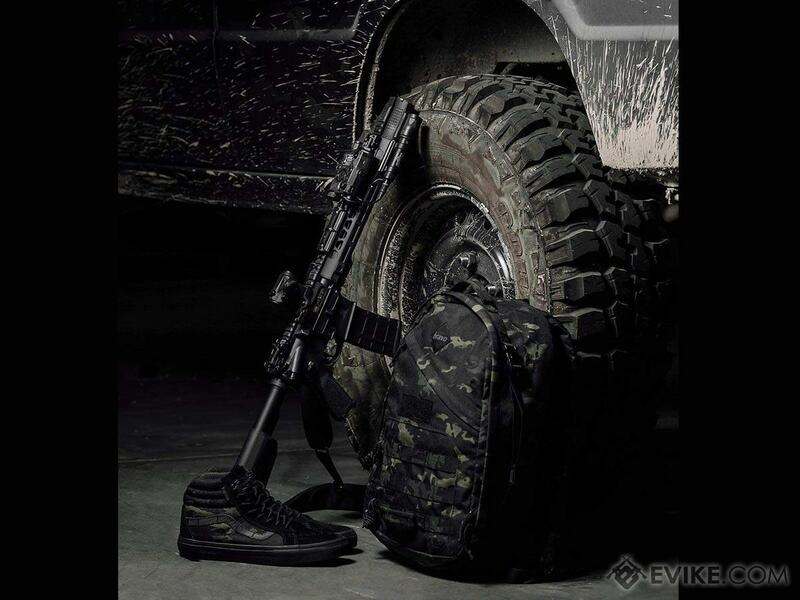 From battle worn to unique designs, Evike.coms collection of Cerakote AEGs ensures you have a one of a kind gun on and off the field. 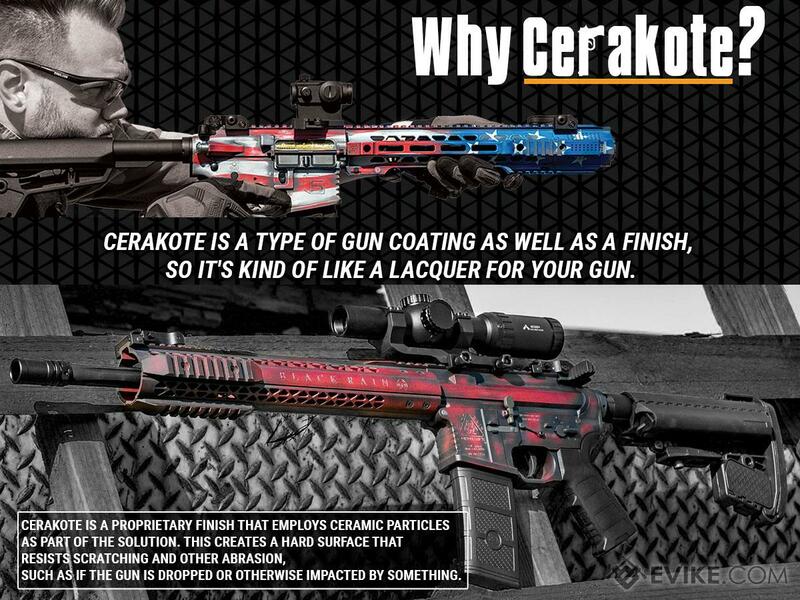 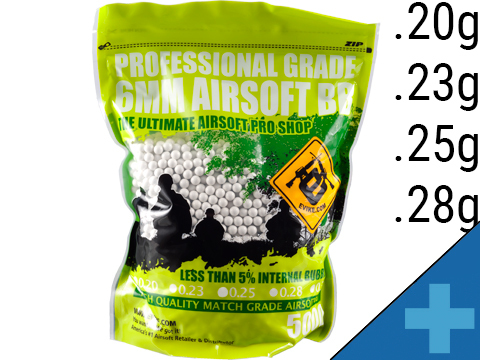 What is Cerakote? 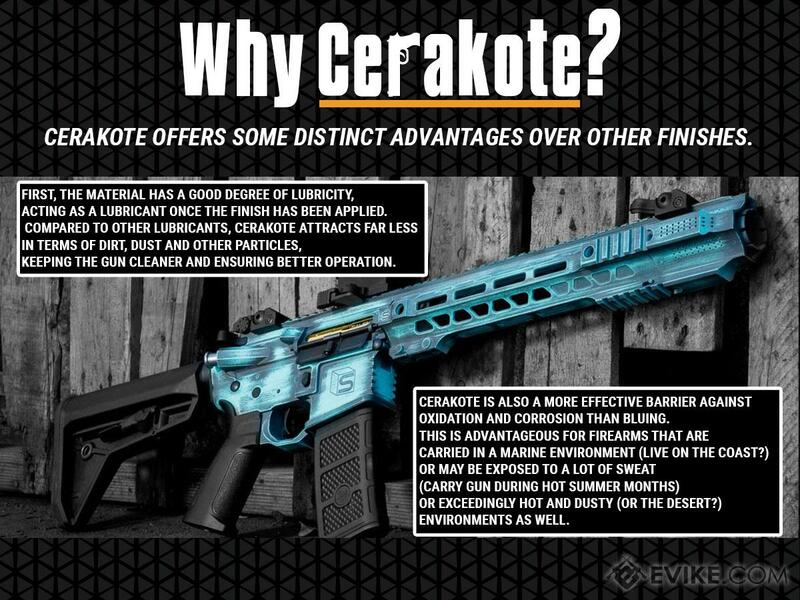 Cerakote is a Polymer-Ceramic Composite coating that can be applied to metals, plastics, polymers and wood. 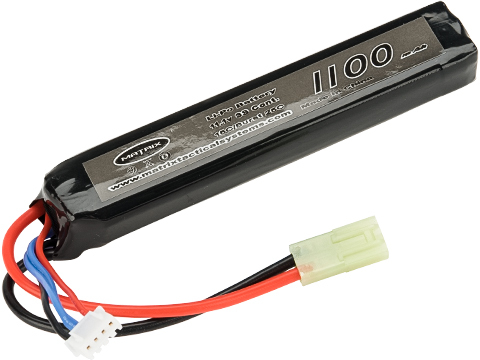 The unique formulation used for Cerakote ceramic coating enhances a number of physical performance properties including abrasion/wear resistance, corrosion resistance, chemical resistance, impact strength, and hardness. 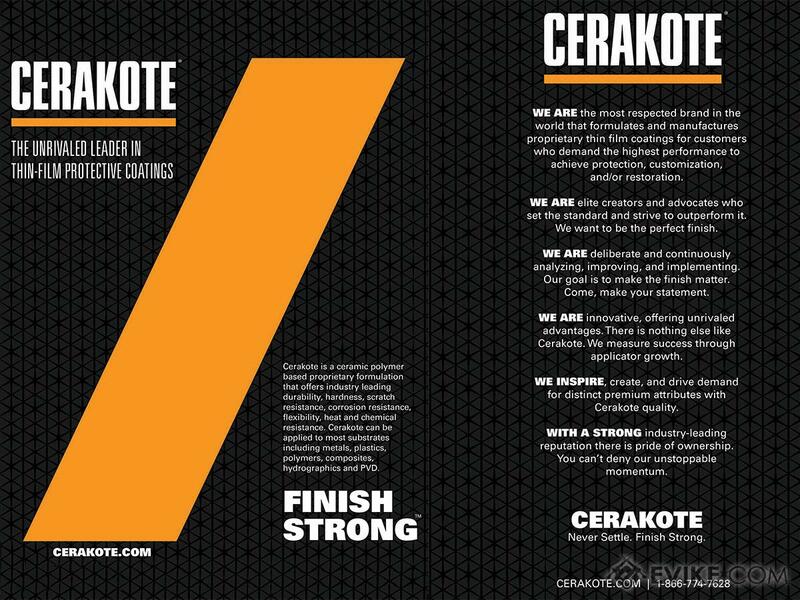 Each of these properties is rigorously tested to guarantee that Cerakote products remain at the forefront of the ceramic coatings market. 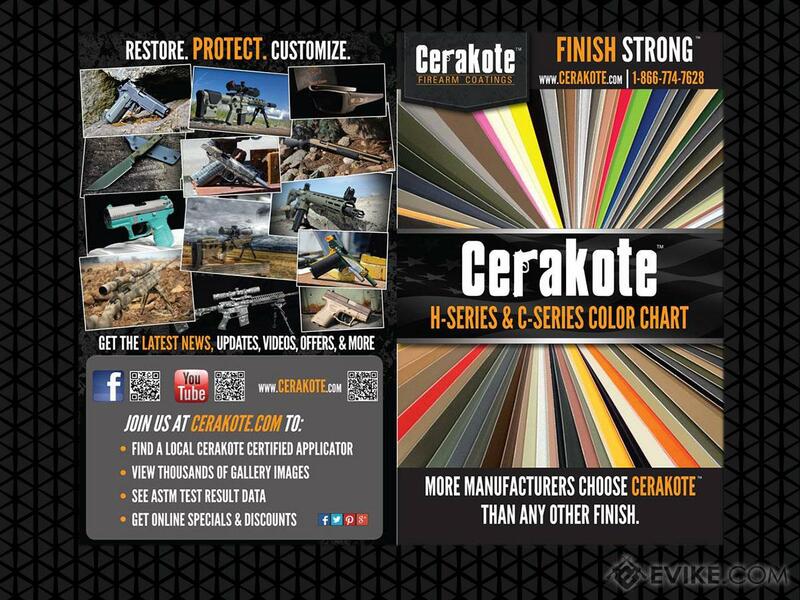 Cerakote ceramic coatings utilize state-of-the-art technology to out-perform any competitive coating in both laboratory settings and real world applications. 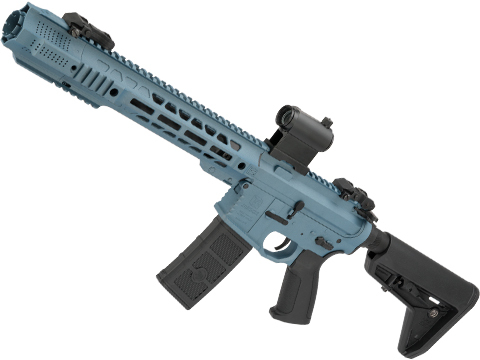 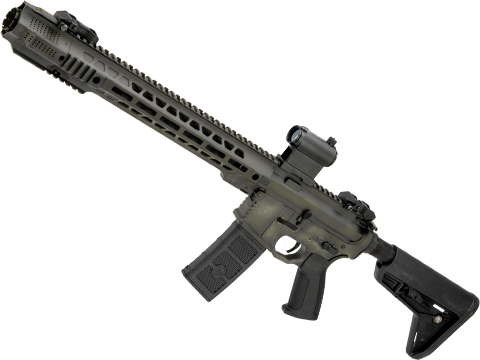 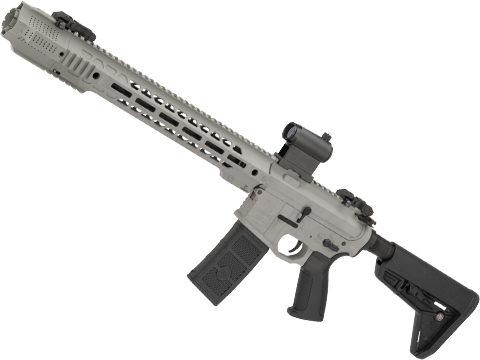 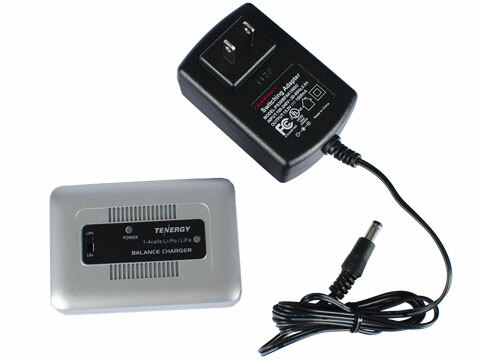 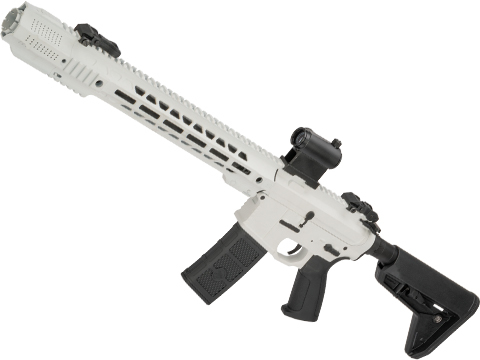 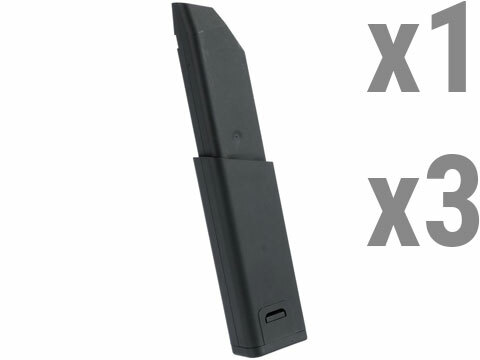 The EMG Salient Arms GRY AEG accurately replicates the look and feel of the actual GRY. 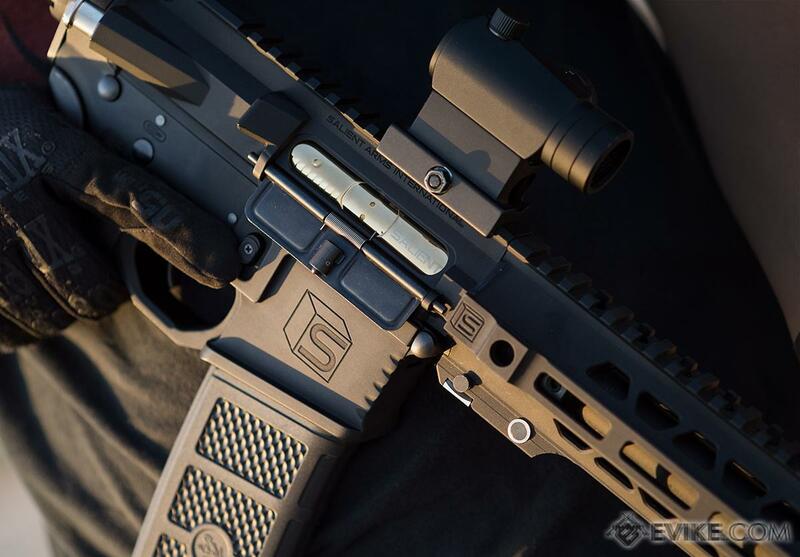 From the CNC machined billet receiver, to the 100% accurate replica of the JailBrake front assembly, the EMG GRY is an ideal training analog. 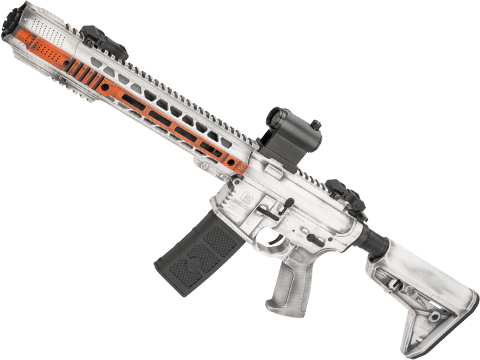 Internally the GRY features a G&Ps well respected reinforced 8mm version 2 gearbox, ensuring high performance, reliability and aftermarket support and upgrade components. 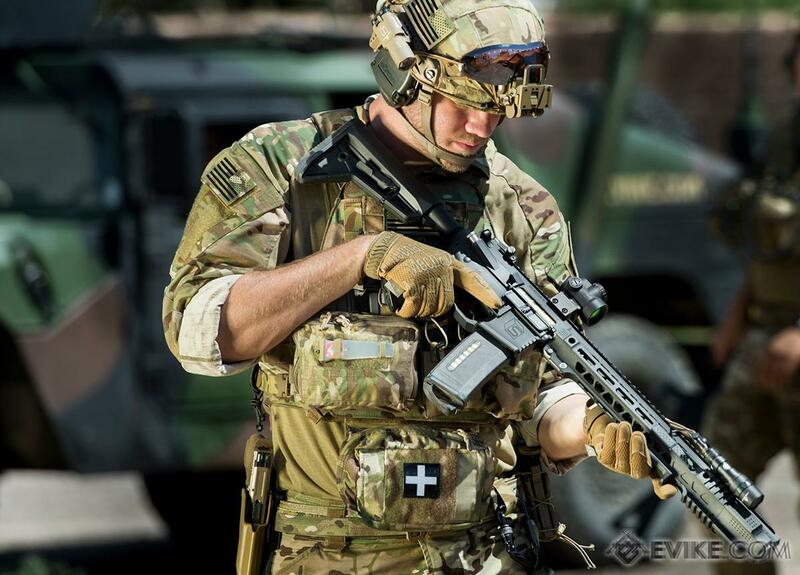 The EMG GRY is built to exacting standards laidout by Salient arms and is sure to be the most accurate and realistic training platform available. 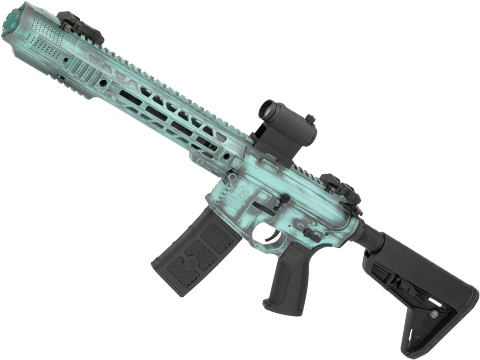 "I've had this gun for a week now and it is AMAZING! 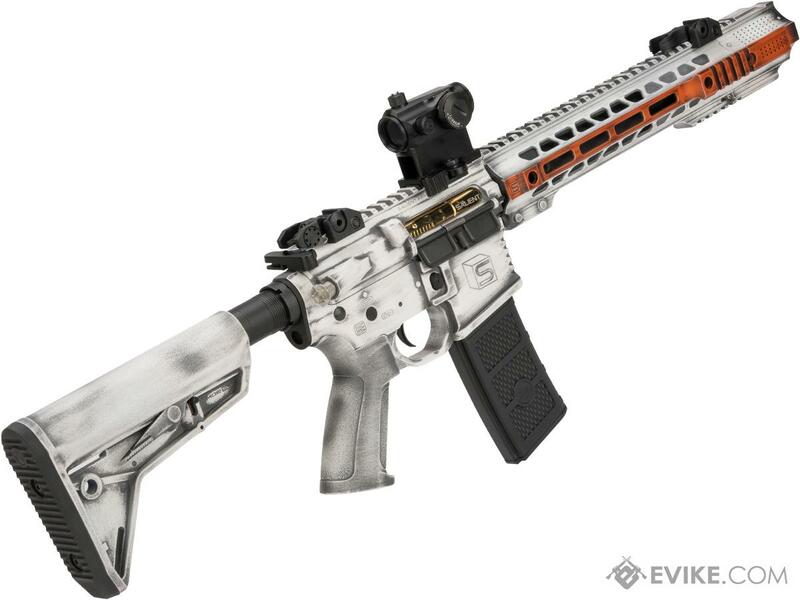 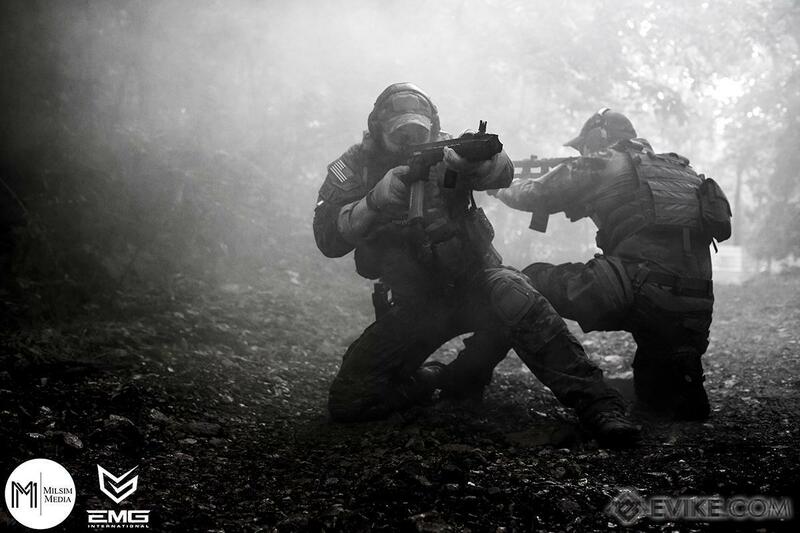 Discuss about EMG Custom Cerakote SAI GRY Training Weapon M4 Airsoft AEG Rifle (Configuration: SBR / Stormtrooper) with your friends and fellow Evike.com shoppers!